Join The Birmingham Whisky Club and the Lost Distillery Company at The Electric Cinema, in Birmingham, for a special preview screening (before its general release on 19 May) of Gillies MacKinnon's remake of Whisky Galore!, complete with three whiskies to be enjoyed at specific moments during the film. Based on real life events, when 8,000-tonne cargo ship the SS Politician ran aground off the island of Eriskay during gale-force winds, Whisky Galore! tells the story of the inhabitants of the isolated Scottish island of Todday, where gloom sets in as their wartime rationing of whisky runs out. 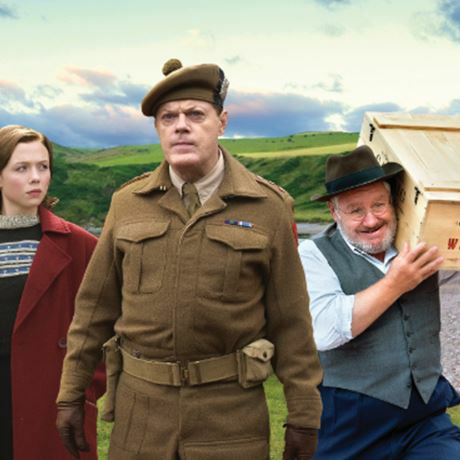 When cargo ship the SS Cabinet Minister runs aground, the shrewd islanders run rings around the buffoonish English Home Guard commander Captain Waggett (Eddie Izzard) and conspire to hide away cases of the precious amber nectar. Ewan Henderson (Global Brand Ambassador) from the Lost Distillery Company will be guiding guests through a selection of three delicious whiskies from the brand's delectable range at key moments during the film. He will include the company's Towiemore, which is an interpretation of Peter Dawson's historic whisky (which was on the SS Politician), to give the audience a taste of the story itself. No refunds of transfers. Event is strictly over 18s only.